BATON ROUGE, LA (WAFB) - Southern was impressive on the mound and at the plate in an upset win over No. 8 LSU at Lee-Hines Field Tuesday night. The Jags handed the Tigers a 7-2 loss. More than 850 people attended the game. 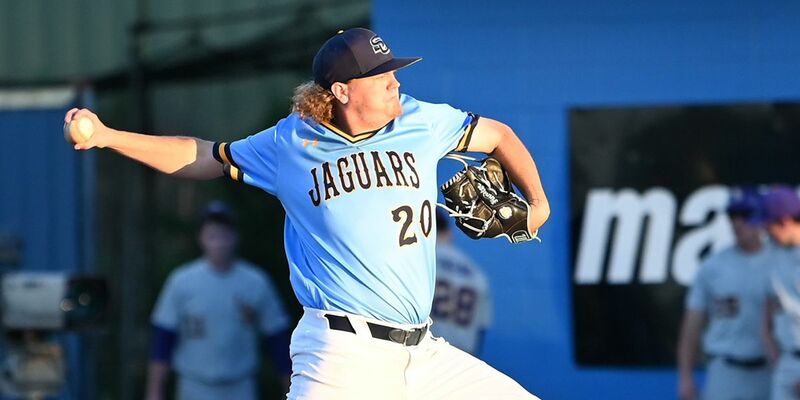 Southern pitcher Eli Finney only allowed one hit and one run through seven innings of work. He had seven strikeouts and walked three batters. He earned the win and improved to 2-2 on the season. Landon Marceaux started on the mound for LSU and suffered the loss. He gave up five hits and five runs in 1.2 innings. He dropped to 1-2 on the year. LSU only had two hits in the game. Southern had 10, including two doubles. The Jags pounced on the Tigers out of the gate, scoring four runs in the first inning. Tyler LaPorte got a lead-off single to second base. He finished 3-for-5 in the game. With the bases loaded and one out, a double by Coby Taylor sent LaPorte and Johnny Johnson home for the 2-0 lead. The next batter, Willie Ward, singled to right field to score Ashanti Wheatley and Taylor to put the Jags up 4-0. In the bottom of the second, Tyler LaPorte grounded out to shortstop with Hampton Hudson on third. Hudson was able to safely make it home for the 5-0 lead. The Tigers finally got on the board in the top of the seventh inning. A sac fly by Brandt Broussard scored Cade Beloso to cut the lead to 5-1. The Jags responded in the bottom of the inning with two more runs off a single down the right field line by Wheatley for the 7-1 lead. LSU scored the final run of the game in the top of the ninth when a groundout to shortstop sent Beloso home to cut the lead to 7-2.